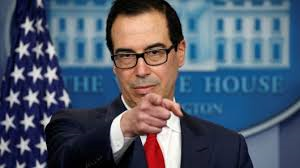 October 6, 2017 we posted Treasury to Currently Eliminate 8 Tax Regulations Including Discounting Restrictions on Family Business Transfers where we discussed that the U.S. Department of the Treasury posted on October 4, 2017 that it would amend or completely do away with 8 tax regulations issued under the Obama administration, including rules regarding corporate debt and transfers of estates, as part of an effort to simplify the tax code. 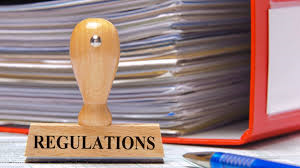 Treasury also announced that it continues to work to identify additional regulations for modification or repeal by evaluating significant regulations issued recently and initiating a comprehensive review of all regulations. Now according to Law360, the U.S. Department of the Treasury on September 21, 2018 proposed scrapping documentation requirements established under Obama-era regulations to discourage corporate inversions by re-characterizing debt as equity. The regulations, under Section 385 of the Internal Revenue Code, were intended to prevent an accounting maneuver called “earnings stripping” that shifts profits to low-tax jurisdictions, and they established documentation requirements for purported debt obligations among related parties to be treated as debt for federal tax purposes. Following a review initiated by President Donald Trump, the Section 385 documentation rules were among eight Treasury regulations identified in July 2017 as either imposing an undue financial burden on U.S. taxpayers or adding undue complexity to federal tax laws. After reviewing comments from the public, Treasury has now concluded that the documentation requirements should be repealed but added it may propose streamlined documentation rules in the future.